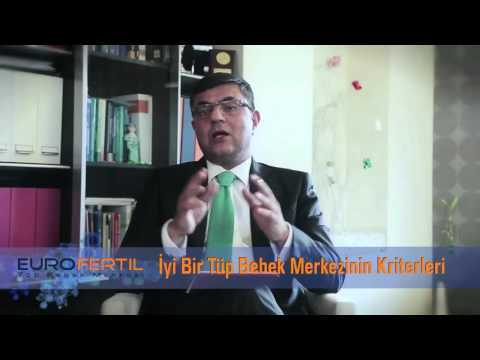 IVF is the most famous among assisted reproductive technologies. Today, there are many new techniques developed in addition to the conventional in vitro fertilization method and being used to treat different causes of infertility. IVF is a procedure for fertilization of female egg cell (oocyte) and male sperm cells (sperm) outside the body under laboratory conditions carefully crafted, selection of a certain number of fertilized egg cells (embryo) transfer into the uterus. Who are Eligible for IVF? In this case, the sperm cell has no chance to reach and fertilize the egg cell. These problems can occur individually or in combination. If a patient's sperm count and motility are within the normal limits but percentage of normal-shaped sperms is lower than usual, in vitro fertilization treatment shall be required for such patients. If intrauterine insemination:fails after 3 to 4 attempts, IVF treatment can be administered. Cause of 20% of infertility cases may remain unexplained in spite of investigations. In such a case, IVF treatment is considered in the first place especially in women 36 years of age and above. Endometriosis is a disease characterized by settlement of the endometrium, which allows women to have a period each month regularly, in tubes, ovaries and/or abdominal membrane outside intra-uterine. Regions outside the uterine may bleed during menstrual periods and as a result, adhesions in tubes, abdominal membrane and cysts in the ovaries can occur. Advanced cases may require IVF method. IVF (In Vitro Fertilization) is the first choice in especially in women over the age of 35 and cases with advanced stage of endometriosis. Patient begins using oral contraceptive pill with the first period after deciding the treatment. The purpose of using oral contraceptive pills is to eliminate the chance of formation of ovarian cysts by the next month and the patient will begin the treatment and ensure a timely period. A gonadotropin-releasing hormone (GnRH) analogue shall be added to the treatment on the 21th day of the menstrual cycle. This highly effective anti-hormone is administered as a nasal spray or as an injection daily. Analog suppresses activities of the hypophysis, a small gland in the brain. Hypophysis controls release of two important reproductive hormones called follicle-stimulating hormone (FSH) and luteinizing hormone (LH). These hormones stimulate the ovary to produce one follicle each month normally. Analog suspends the connection between the pituitary and ovary temporarily. This process continues until the egg retrieval procedure. Oral contraceptive pills are used for 21 days, and a new menstrual period begins within 10 days after discontinuation of the pills. In order to stimulate of the ovaries, medications containing needle-shaped hormone is initiated on the 3rd day of the new menstrual period. The purpose of using these medications is to allow development of multiple egg cells in the ovaries and thus, increase the chance of pregnancy. As the duration of ovarian stimulation is determined by response of the ovaries to the medications used, the average duration is approximately 10 to 12 days although this differs by each person. In the meantime, development of the hormone and eggs are followed-up by ultrasound every other day. Another alternative treatment, which we call shorter protocol, is a treatment protocol that begins on the day 2th or 3rd day of a menstrual cycle and lasts about 15 days. This treatment protocol requires injections to stimulate the eggs. When the follicles (developing eggs) reach a certain size or on the 6th day of the hormone-containing drugs, another drug that is administered through abdomen and protects the follicles, called gonodatropin-releasing hormone antagonist, against pre-maturing and hatching will be used. Today, the shorter protocol takes place of the long protocol due to a shorter treatment duration, chances of success equal to the long-protocol and less side effects such as ovarian hyperstimulation (excessive stimulation of the ovaries) syndrome. When the eggs reach a certain maturity and size, a different hormonal injection which allows eggs to hatch is performed. After approximately 34 to 36 hours following the injection, egg retrieval procedure takes place. Timely injection is of great importance due to accuracy of the procedure. Egg Retrieval Procedure: Patient admitted on an empty stomach in the morning is given anesthesia and egg retrieval procedure is performed which lasts about 20 to 30 minutes. The procedure is painless as it is performed by anesthetizing the patient. Eggs are reached vaginally for IVF with the help of ultrasound. A small needle that absorbs the eggs accompanied by an outward vacuum is used and ultrasound is practiced on directing the needle to the right place. The number of eggs varies, though the number may be 10 to 12 per patient, this number can also be in a range of numbers between 1 to 40. Zero egg retrieval situation is very rare. This procedure does not require hospitalization and our patients can go home a few hours of after the procedure. Egg cells retrieved will be fertilized under laboratory conditions by either conventional IVF or microinjection method, depending on the quality of sperm cells. With fertilization of the egg by the sperm cell, EMBRYO, which is the keystone of infant developing mother's womb, is formed. Fertilization detected under the microscope takes place approximately in 12 to 15 hours. The result shall be communicated to the patient by phone and date of the embryo transfer shall be determined. Transfer can be performed 48 to 72 hours, or even 120 hours depending on the situation, after retrieval of an fertilized egg. Date/time of the transfer is determined by the number and quality of the embryo. Embryos are transferred into the uterus by passing through the cervix gently with the help of a plastic tubular catheter. The number of embryos to be transferred are generally agreed with the gynecologist before the procedure and transfer is performed accordingly. As this procedure is simple and usually painless, the patient can be discharged after a half-hour rest period. Patients are given a hormonal support by the pregnancy test which will be performed approximately after two weeks. This hormonal support is administered vaginally or administration of the hormone called progesterone intramuscularly. Patients with a positive pregnancy test will have an ultrasound scan after 10 days to view the intrauterine gestational sac.